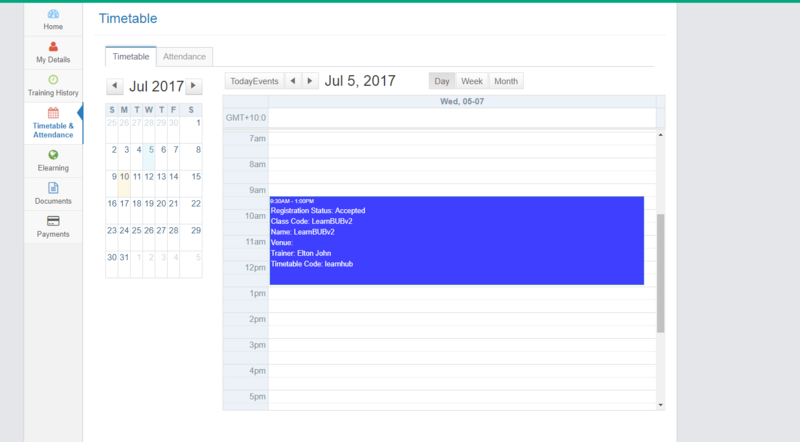 Wisenet allows timetables and classes to be viewed from a variety of places depending on your role and access. Want to view classes for other days? By default, the home page will show today’s classes. However, you can change the listing by clicking on the drop down box to view a different date range. Check with the person who sent your Wisenet account invitation as they can fix this. You can view Timetables and Classes through Wisenet. Simply use the search function for the Class or Timetable. Paper copies of timetables and attendance can be printed using reports. This can also be seen from the Trainer Portal.